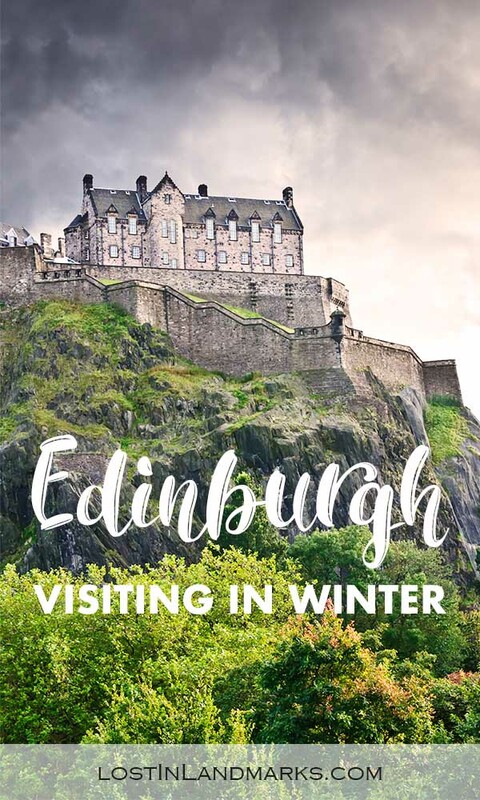 Winter in Edinburgh – what to do, see and enjoy when it’s cold! Edinburgh is one of my favourite cities in the world and one that I’ve been privileged to visit many times. I’ve also been in every season but winter in Edinburgh is without a doubt one of my favourites. 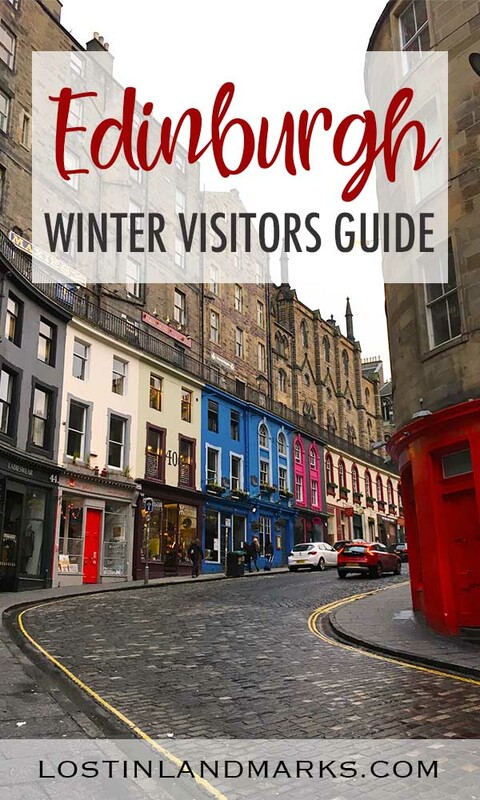 The capital city of Scotland is popular at any time of the year – so why should you think about visiting in winter? Well, for me I do like a slightly less city but I also enjoy the many celebrations that happen in winter too. Yes it’s tricky to rely on the weather, but there’s no doubting how pretty the city is in any setting. Edinburgh can be much quieter in the winter months than in the height of summer but rest assured, the city runs as it does every other day. You’ll find that mid week is much quieter than the weekends when people like me head north for a weekend break! The first thing that you need to bear in mind when visiting Edinburgh in the winter months is that the weather can be fairly, hmm, how can I say it? Yuck. Yes, that covers it! It can be very unpredictable and while we can all hope for those crisp and clear days that we all know are cold but allows us to take some gorgeous pics and it’s all ok, what often happens is cold and rainy and very much not so fun. Cold is almost certainly what you’ll end up with and whether that’s accompanied by rain, drizzle, snow or gorgeous sunshine is pot luck! Secondly and quite important, is the hours of light you’ll have. It’s not something that I see talked about on trip reports to places in Scotland – possibly because they all come in summer when it seems like there’s an endless day, but in winter it’s very different. By 4pm it’s getting dark or is dark which means you’ll need to feel confident wandering around a city in the dark or be happy curled up in your hotel. We did a combination of both – only cos I love being snuggly in a hotel when it’s cold outside! Of course if you’re limited in your time you’ll want to take advantage of all the time you have. It’s famously full of tourist shops and tourists but I can’t help it – I love the Royal Mile! It has a really nice feel to it with all the old buildings and cobbled streets which is lovely just to wander down. We always start at the top at the castle (which is on my what to miss list) as you can wander round the entrance getting good views over the city (for free!) and soaking up that touristy vibe. Ok possibly not that last bit, but if you’re lucky and it’s not too overcrowded it can be nice. Wandering down all the way to Holyrood Palace is a great way to while away an hour or two – more if you enjoy some of the sights, markets and shops on the way down. We’ve enjoyed the museum of childhood which is a free museum that is on the mile and I once spent an awful lot of money in a really nice crystal shop there too. Ahem. I’m blaming my kids for this one as I’d probably have bypassed the whole story otherwise, but I do love history and I do love dogs so this one makes my list of things to do – without fail we visit every time we’re in the city. Greyfriars Bobby is the story of a small Skye Terrier dog whose master died and was buried in the graveyard. Bobby famously stayed by his grave for 14 years (good age!) and was loyal to the end. If you go to the graveyard you’ll see a grave just by the entrance with a pile of sticks that well wishers have brought instead of the usual flowers as well as a statue outside on the main road. It’s a rather wonderful graveyard to wander round if you have the time anyway – there’s loads of grand plots that have probably been occupied by some of the wealthier families as well as some more humble ones. Is it just me that likes to wander graveyards? I’m always advocating a nice, fresh walk up to Calton Hill if you’re in Edinburgh. 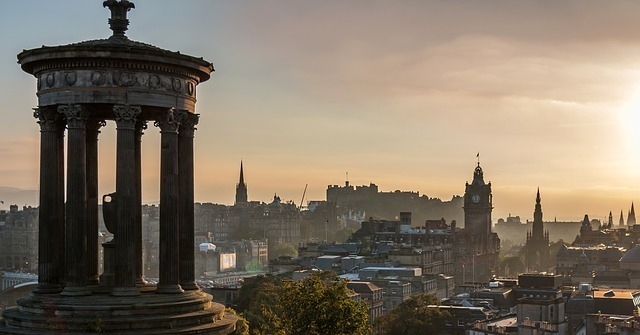 It’s a quirky little place with a monument built for Napoleon, columns that wouldn’t look out of place in Greece and the most amazing views over Edinburgh. It’s a great place to escape the crowds if you need it. 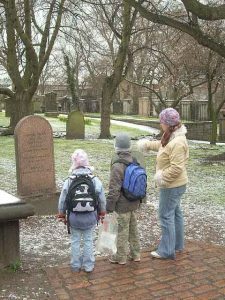 There are many different ghost walks and history trails on offer in the old town – take a walk around and you’ll see many people offering them and handing out leaflets. 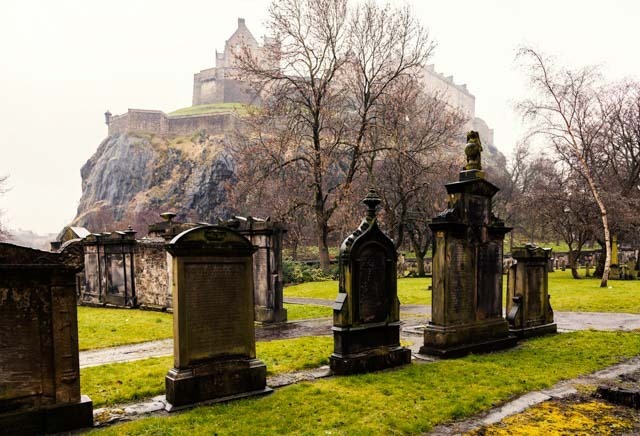 The history of Edinburgh is vast so I guess you can imagine there will be some ghosts around? Doing this tour in winter means there’s a lot more hours of darkness so if you like an early night you’ll still get the feel of it! We’ve not actually managed to do a tour yet as our kids didn’t fancy it when we went with them and when we travelled without them last year it rained so much we didn’t fancy it (see my tip below about what to miss). We’re determined to try one soon though! We actually based ourselves in the Grassmarket area last time we visited and I really liked the vibe of this little part of Edinburgh. It’s at the base of the Castle and it has a rather gruesome history if you like that kind of thing. There are lots of cafes and bars often bearing names that are quite intriguing. One such pub is called The Last Drop and is named so as this area is a former site where people were executed. As you walk by the area there are lots of plaques on the walls of some of the more interesting people who were executed or who escaped the drop! As well as the history this is a great area for a bite to eat – lots of choice! A few years ago you’d have been hard pressed to find too many people visiting Edinburgh to see where Harry Potter was written and to see the streets that were the inspiration. I remember visiting in 2008 and enjoying a lovely meal at the Elephant House cafe which is known as one of the places JK Rowling sat and wrote the book. 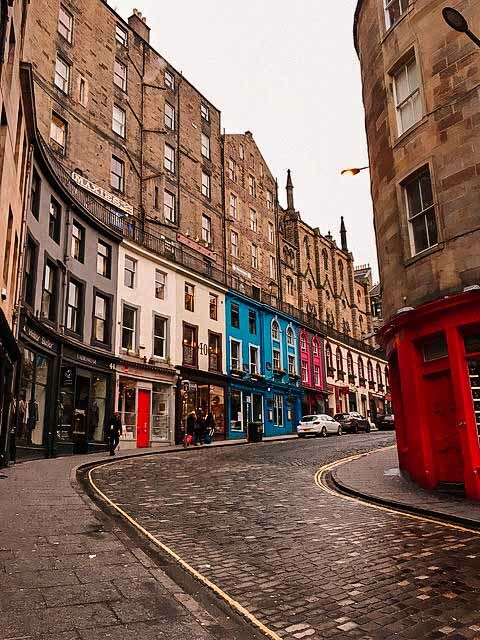 At the time I don’t remember there being much talk about the street (West Bow/Victoria Street) around Grassmarket and how it was possibly Diagon Alley inspiration and many many more. However, blame Pinterest or perhaps it’s just good marketing, but there is a big Harry Potter scene in Edinburgh now! There are many small boutique shops selling all sorts of wizarding goods for muggles and wizards alike and the above spots are definitely worth checking out if you like to see real life inspiration for your novels. I’d also add in Greyfriars churchyard that I also mentioned before (there are many names on the graves that may have been inspiration for Rowling – I think even one for a Thomas Riddle!) and it has a certain feel to it that is reminiscent to some of the graveyard scenes in the book. Also the Balmoral Hotel is in Edinburgh and is where she finished writing the final book in the series. If you’re visiting in the winter then I think one really fun thing to do which will warm you up for sure is to find a ceilidh. A ceilidh is a traditional dance event and it’s really a whole heap of fun – takes me way back to my youth when we learned the dances at primary school! Often you don’t need to know how to do the dances as the callers will give you instructions – all good fun and definitely keeps you warm! In the run up to Christmas a temporary ice rink is installed near Princes Street Gardens and if you fancy having a skate in the shadow of the castle then this is for you! Again this is only in the run up to Christmas and so if you’re here after that you’ll not find them. The best ones are on St Andrews Square and at Princess Street Gardens. Normally they run until Christmas Eve. For those of you interested in history then you really can’t miss a visit to the castle. It can be crowded though, even in the winter months so do go early or later on if you want to explore. Looking for a day trip from Edinburgh? 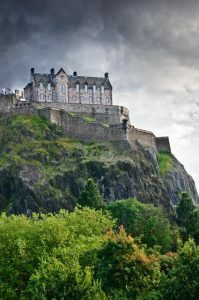 – Consider a trip to one or all of Scotland’s Borders Abbeys. I’m going to suggest that you don’t book ahead for any tours and walks unless you’re absolutely sure you’ll attend and don’t want to miss the opportunity. We very nearly did this for a ghost walk when we last went but the weather took a turn for the worse and we ended up being glad we hadn’t pre-booked a tour. Ok, I’ll get shouted at from my daughter because November is strictly Autumn/Fall but I think we’re ok to sneak this one in here. Bonfire night is on the 5th of November every year. It’s a very British affair when we remember how a plot to bring down the government in 1605 was foiled and the perpetrator was caught, hanged and burned. Fun. The name of the main man involved was Guy Fawkes and it’s often called Guy Fawkes night too. What happens is that you’ll find a whole heap of fireworks going off all night – lots of people tend to have their own private fireworks displays and often there will be big organised displays too, often with a very large bonfire – perfect for warming up! If you’re staying slightly out of the city then be sure to see if there’s anything local going on that you can go along and enjoy. St Andrew is the Patron saint of Scotland and his day is celebrated on the 30th November. While not one of the biggest and most notable days for many people, it’s often a good excuse for putting on a ceilidh and having a good dance. If you’re in the area check to see if there are any ceilidhs on as that is definitely a great experience to have. Here’s one that is planned for 2018 and would be well worth attending! Christmas, of course, needs no introduction but it’s important to understand what may or may not be available to you as a visitor to Edinburgh in the holiday season. 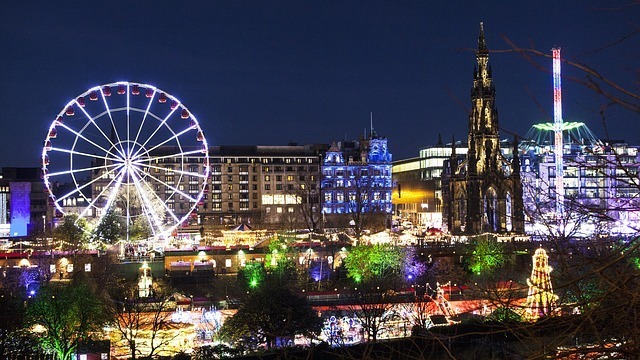 In the run up to the festive season there’s all sorts of Christmas Markets on – a couple worth mentioning are the one at Princes Street Gardens and also at St Andrews Square. You’ll find all sorts here from traditional Scottish goods to European food! Yes, we’re definitely bringing the European Christmas market feel to Scotland! Most of the markets run up till Christmas Eve but a couple will be open until the new year. Christmas Day sees the city come to a standstill… mostly. Christmas in the UK is definitely a family day and the majority of businesses close on this day. You’ll struggle to find shops open at all with perhaps the exception of some of the smaller family owned shops. It’s a rather magical time to wander around though! Christmas services in church are always something to experience and it’s also a good time to book in to a restaurant if you want a special meal. Most places are booked in advance though so don’t leave it too late. There are some buses running on Christmas day – check out the bus website here and the tram website too for the latest info on times. Boxing Day is what we call the 26th of December and it’s when the world starts to come back alive again! Some attractions will still be closed on this day though so double check if you’re in the city on this day. Hogmanay is one of the busiest times of year in Edinburgh and for good reason – us Scots like to throw a party! Edinburgh is the place to be on New Years Eve and each year it gets bigger and bigger. If you want to be part of the big party you need a ticket which you can get here. If you’re looking to stay in a hotel that’s in the area of the party then you might find you can get a combined hotel and ticket option so do check that out. One thing I’d definitely say is to not leave it too late to book something – it gets very busy and you’ll find options very much limited the closer you get to New Years. There’s more than just the giant street party going on and no matter what you enjoy you’ll find something to keep to happy. It’s also not restricted to just the 31st January – on the 30th you’ll find a Torchlight procession going on as well. It’s a viking tradition and it’s definitely a spectacle to behold! Again it’s ticket only so do book in advance if you’re planning a Hogmanay trip to Edinburgh. On New Years Day there’s the family friendly ceilidh that goes on as well – best of all, it’s free! You need a ticket (as always) but that promises to be very much fun, unless you’re sleeping off the night before! The best place to check out the latest events for Edinburgh Hogmanay is the official site here. Finally we have Burn Night which takes place on 25th January each year. It’s a celebration of Scotland’s most famous poet Robert Burns and it is traditionally celebrated with a scottish meal of haggis and neeps (turnips) and if you’ve not heard of haggis you’re in for a treat! It’s sheep’s offal mixed with oatmeal and herbs and cooked in the sheep’s stomach. Doesn’t sound too appetising and for years I resisted it, but when I did eventually try some I really enjoyed it so I’d recommend you give it a go. There are normally vegetarian options too but do check if you’re planning to go for a meal somewhere. Lots of restaurants will have something special taking place but they’ll likely need booked in advance. Ceilidhs are also another favourite way to enjoy the evening and doesn’t require any knowledge of poetry! 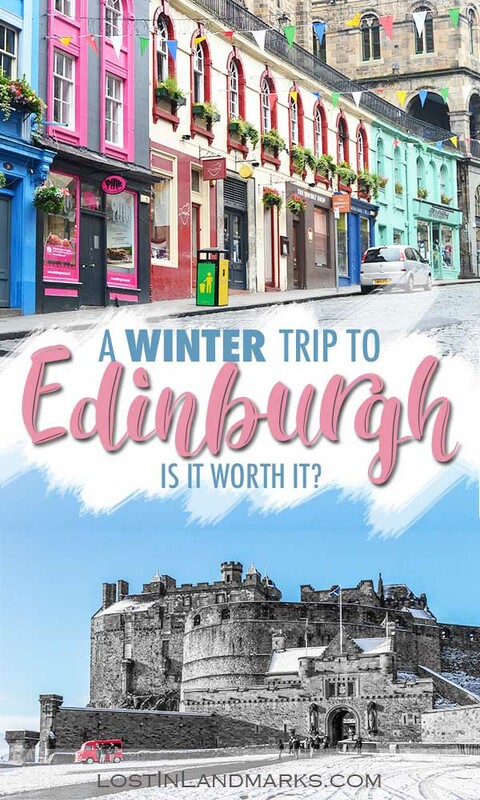 Okay, this is not the ultimate list of what to take obviously and it’s probably slightly geared to thinking about the weather but I think if you’re planning a winter trip to Edinburgh it’s probably the thing you need to consider. If not you’ll be buying tartan scarves and funny Scottish hats on your first day! Don’t say I didn’t warn you! A reusable coffee cup is in my bag every time I go away now and I am finding it great for city breaks – and even more so when it’s cold. Get it filled up in your hotel before you head out or use it in coffee shops as your day goes on. I like insulated ones that can keep your drink warm as long as possible. And you get extra eco points too. Eco points are also available with a refillable water bottle too. Keeping hydrated is important whether it’s hot outside or cold. And you’ll need it after you walk all the way up to the castle! Insulated bottles can double up as your coffee holder too if you like! Fighting the rain requires a couple of things. First an umbrella can be really handy – not the best if you’re planning to be in really busy areas, but great if you’re stood around and taking pics – you don’t want your phone or your camera getting wet. A reusable poncho is a great thing to have in your bag – you’ll find loads of places selling the flimsy plastic types but I’m not a big fan of those. This one is a good quality one that also folds up really nicely and fits well in your bag should you get caught out in a downpour one day. It’s also great for having over your bag too so if you’re worried about your rucksack getting wet this could be a good idea. You might look like you have a hunch, but you’ll be dry! Finally – take a hat, scarf and gloves. No need for tartan hats with fake ginger hair. Please. Although bright hats will make you stand out in a crowd! We’ve stayed in a few different areas of Edinburgh over the years and my favourite place to be is in the Old Town. Yes it’s touristy and yes it can be a bit busy, but I really think there’s nothing better than being able to see Edinburgh Castle from your hotel room. This is our view from a hotel we stayed at in Grassmarket recently – stunning. 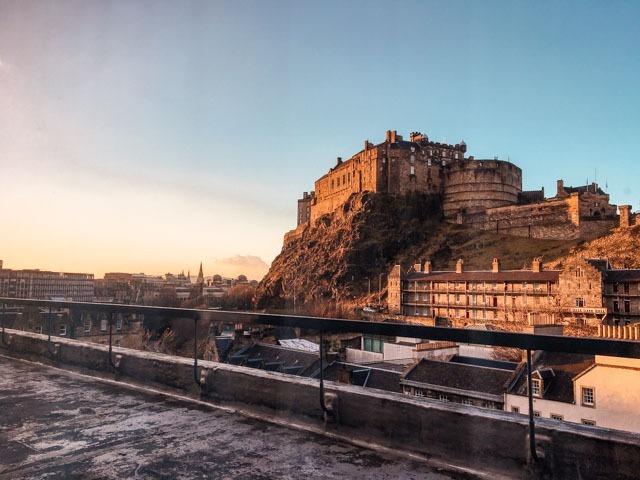 I’d highly recommend it – it’s called Apex Grassmarket hotel and had that nice trendy and upmarket feel without a huge price tag to go alongside. 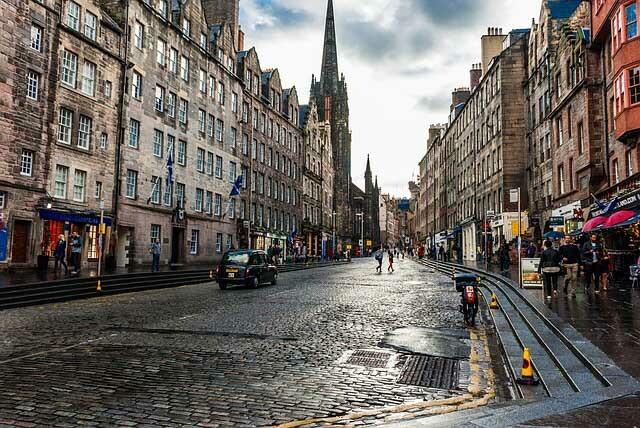 You’re right by the action and it just takes a couple of minutes to walk up to the Royal Mile and all that that has to offer. The Royal Mile has a number of hotels too (without the fab Castle view though) and highly recommended is the Radisson Blu which is in a really unique building but with plenty of modern facilities. Towards the New Town and for something rather special I’d recommend the Balmoral hotel – a very luxurious hotel that’s had plenty of famous people stay over the years and is famous for being where JK Rowling finished her Harry Potter books. Edinburgh has it’s own international airport, even though it’s on the smaller side it’s getting more flights each year. If you’re coming from the US there’s flights from Chicago, New York and some other East coast airports too. Other options that are nearby are Glasgow Prestwick which serves Europe and of course there are lots of airports in England that can connect to Scotland. I always use SkyScanner to check out the best way to get to my destination and I find it really good for getting the best prices as it searches all over. One of my favourite ways to arrive in Edinburgh is by train – we did it last year and it’s so stress free! You arrive in Waverley train station which is bang in the middle of the new and old towns so it’s perfect for wherever you need to be. You can get trains from all over the UK to Edinburgh so it’s really not difficult to get there and there’s plenty of taxis if you don’t want to then walk to your hotel or if it’s a little farther away. I use Trainline to get the best prices and check the train times. Coaches are available all through the UK to Edinburgh – check out Stagecoach and Megabus. If you’re travelling from a more local area then the Lothian Bus company website should help you get to the city easily. Edinburgh centre isn’t the greatest for finding easy parking. There are plenty of multi storey car parks that charge by the hour and that’s a good option if you have a car and you’re not bothered about paying for the privilege of parking nearby. Some hotels also have their own car parking so do check with who you end up staying with. My preferred option which is more ‘greener’ and helps to reduce congestion in the city is the Park and Ride options where you park outside the city and get the bus or tram in to the centre. We’ve done this numerous times and find that it’s a much more economical, quite enjoyable and certainly less stressful than navigating a busy city. If you’re staying for a couple of nights then there’s even one park and ride option that allows cars to stay more than one night as well.